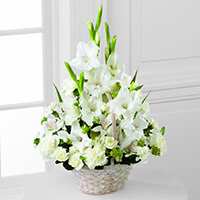 Provide comfort for the family of Sally Rice with a meaningful gesture of sympathy. Rice, Sally Ann (LeMere), age 79, died of cancer in her Plymouth home, surrounded by family, on March 14, 2019. She is preceded in death by her parents, Ellwood “Bud” and Cora LeMere; sister, Trudy Martin (John) Skinner; and granddaughter, Maeve Dempsey-Rice. She is survived and missed by her three daughters, Melyssa (Tim Dempsey) Rice, Bethany Rice, and Allison (Joe Stratman) Rice; granddaughter, Elspeth Dempsey-Rice; and many dear friends. A lifelong learner, Sally graduated from Mound High School in 1957, received her RN and BSN degrees from the University of Minnesota in 1963, and received an MBA from Metropolitan State University in 1992. She took pride in helping to organize high school and nursing school reunions, as well as co-founding the North Shore Gymnastics Association. While her daughters were young, Sally served as a nurse at the Maple Plain Clinic; later, she became a nurse educator at Methodist Hospital, where she trained nursing assistants and developed patient education programs. After retirement, Sally studied art for two years to become a Minneapolis Institute of Art docent, where she volunteered many happy hours – while also working part-time at Dayton’s-Macy’s. A world traveler, Sally rode a camel in Egypt and an elephant in India, walked the Great Wall of China, and fly-fished for salmon in Alaska, among many other adventures. 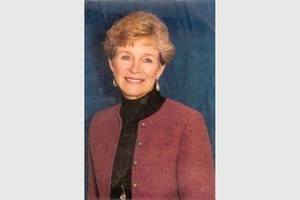 A fiercely-loving mother and grandmother, and a loyal and trustworthy friend, Sally also loved golfing and photography. Most of all, though, she loved to laugh, and in fact kept her family laughing until the very end! Memorial service: Saturday, April 13 at 3:00pm at the Unitarian Universalist Church of Minnetonka, 2030 Wayzata Blvd E. Visitation starts at 2:30pm. Celebration of Life reception to follow offsite. Our condolences to you. Prayers for healing and peace. Blessings Academy Friends purchased the The FTD Rays of Solace Bouquet for the family of Sally Rice. 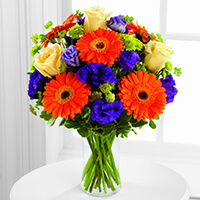 The Hardy and Matson Families purchased the The FTD Eternal Affection Arrangement for the family of Sally Rice. I am so sorry for your great loss and my sincerest condolences go to your family, during this time. May you find comfort in the words found in Acts 24:15; " there is going to be a resurrection" or a bringing back to life. Soon you will be able to see Sally once again, in a world that is full of life and peace. May this help you to overcome this great loss and hope for a better future with Sally.